Denver, CO — December 14, 2015 — Davis Partnership Architects is moving its offices to the Bindery on Blake at 2901 Blake Street. The new office will open effective January 4th, 2016. 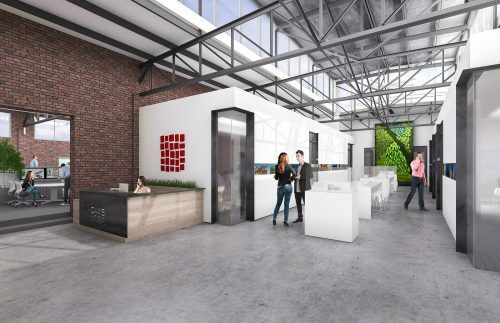 Davis Partnership will occupy over 21,000 square feet in the single-story structure and designed the complete renovation of the space along with upgrades to the building exterior. The facility is designed to meet aggressive goals for energy conservation, and LEED certification is being pursued.